A great nights sleep is so important. 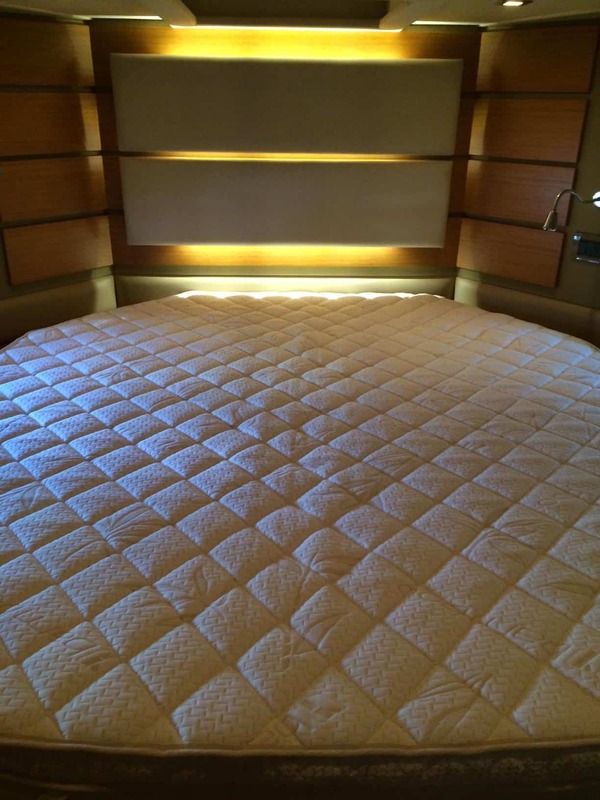 For many folks, one of the first thing they upgrade when buying a boat, is the mattress. Whether you are buying a new boat or adding your personal touch to a brokerage boat, comfort is king! We specialize in latex mattresses because they are perfect for the marine environment. Latex boat mattresses are mold and mildew resistant, are extremely comfortable, they regulate your body heat very well and they are pliable, which makes making the bed, easier. 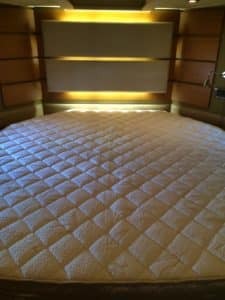 A perfect mattress fit is important, as many custom boat mattresses have angles and odd shapes. Give us a call to check our pattern file for your specific Azimut model. You’ll wonder what took you so long to get your new yacht bedding and mattress!